Nanoil :: natural oils for medium porosity hair. I HAVE MEDIUM POROSITY HAIR – WHAT DOES IT MEAN? The condition of your hair is not at its best. Its bulbs are fragile and strands fall out or even stop growing. Your wisps require reinforcement, in-depth nourishment, and intensive repair. 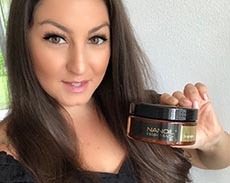 The power of precious natural vegetable oils and innovative nutrients in NANOIL for medium porosity hair provides intensive treatment, inhibits hair loss, and boosts its growth. It is easy to damage inner keratin structure of medium porosity hair. Its scales are raising, which is a sign that strands need reinforcement. Disturbed acid balance of scalp results in greasy and falling out wisps that lose volume. 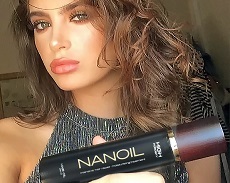 NANOIL for medium porosity hair regulates the work of sebaceous glands, ensures hair recondition, and improves its natural protective layer. Medium porosity hair is problematic – dull, lacks shine, frizzy, and difficult to comb. 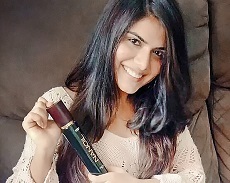 Styling such hair type causes trouble, and most styling products only worsen its condition. 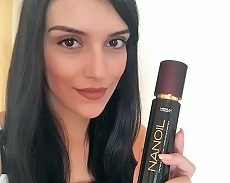 NANOIL is an elixir of beauty that makes your wisps healthy, strong, resilient, full of shine, and longer. 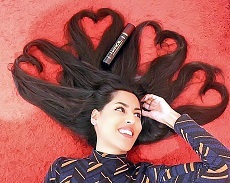 ALLOW YOUR HAIR TO AMAZE WITH BEAUTY! You can enjoy luminous and velvety hair. NANOIL for medium porosity hair is an innovative and professional treatment. 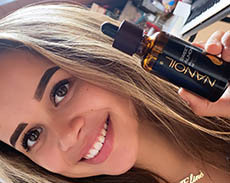 The complex of six natural oils rich in omega fatty acids enhanced by carefully selected nutrients, provides your hair with a beautiful and healthy look. The formula of NANOIL for medium porosity hair has been developed to penetrate the deepest parts of scalp to improve its blood circulation, maintain proper level of moisture, and support mechanisms responsible for the proper functioning of the protective lipid barrier. 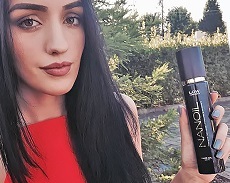 That is why NANOIL guarantees strengthening and in-depth bulb repair, prevents split ends and brittleness. It regenerates and strengthens hair, restores its lustre, and provides protection against harmful external factors. Perfectly enhances the hairstyle and increases hair volume. 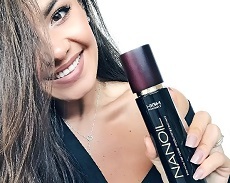 Only Nanoil comprises a well-balanced composition of natural oils and additional conditioning ingredients. Thanks to their combination in adequate proportions, they gain outstanding properties. 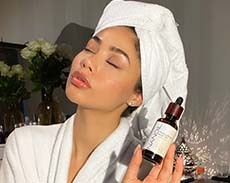 See for yourself that properly selected and composed oils can enhance your hair as effectively as never before. 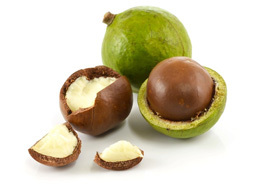 Oil expressed from the nut meat of the macadamia tree. 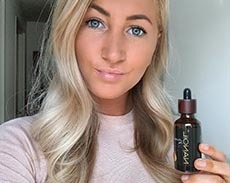 It is rapidly absorbed by the scalp and hair follicles. 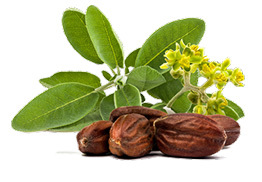 Regulates sebum secretion, soothes irritations, nourishes, moisturises, softens, and improves hair resilience. 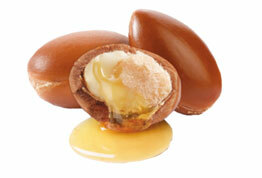 Oil obtained from the kernels of the argan tree. Contains antioxidants that slow cell ageing processes. It provides thermal protection during styling. Deeply regenerates keratin structure of weakened hair. African oil extracted from the kernels (nuts) of the fruits of the Marula trees. It conditions both scalp and hair. Strengthens water-lipid skin barrier and improves moisture. Protects against damaging effects of external factors. Golden oil pressed from the seeds of Simmondsia chinensis (Jojoba) shrub. It prevents hair from getting greasy, gradually inhibiting excessive sebum secretion. Cleanses skin and heals dandruff. 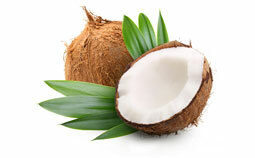 It is a remedy for dry scalp and dehydrated hair. 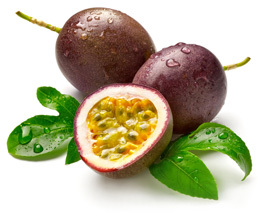 Oil produced from passion fruit. 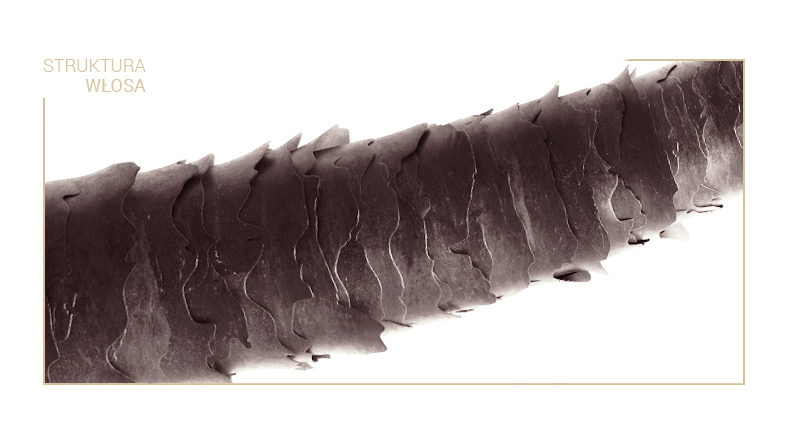 Perfectly tames unruly strands, provides lustre, and facilitates combing. Defrizzes, adds softness and outstanding shine. Oil cold-pressed from the pulp of coconuts. It protects hair tips, prevents brittling and dehydration, restores resilience. Nourishes hair, seals scales, ensures smoothness, and adds gloss. 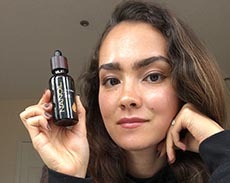 Kerastim – stimulates the production of keratin, the key structural material making up the outer layer of human skin and hair. 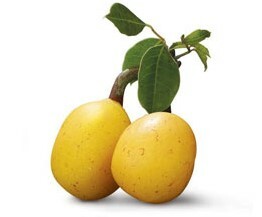 Strengthens, inhibits hair loss, and has positive influence on thickness. Baicapil – innovative ingredient that reduces hair loss and improves its density. Vitalises follicles and stimulates the growth of new, strong, and healthy hair. Silk – an ingredient of beautifying properties. Smooths hair, adds resilience, and enhances multidimensional lustre. Ensures vivid hair colour. UV filter – protective component that reduces harmful effects of ultraviolet radiation. Prevents strands from becoming dull, brittle, and dry. 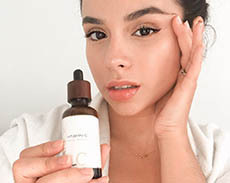 Vitamin A – commonly known as retinol. Improves the work of sebaceous glands, eliminates dandruff, strengthens hair, and protects skin water-lipid barrier. 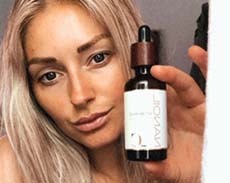 Vitamin E – a strong antioxidant that inhibits ageing processes. Speeds up cell division. Wisps remain in shape. 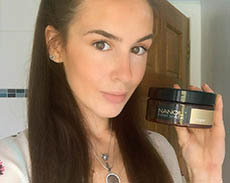 NANOIL for medium porosity hair is a symbiosis of science and rich tradition of oiling. Let your hair believe it is worth exclusive haircare with the power of natural plant extracts. 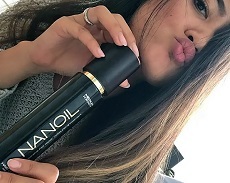 NANOIL eliminates problems connected with hair and all signs of its worsening condition – brittleness, dehydration, dullness, fall out, or even dandruff. It boosts its growth, provides shine, smooths, and improves volume, allowing it to gain a healthy look. Medium porosity hair requires extra care. The way your strands will look is entirely up to you. You decide what kind of care you will provide your wisps. Go for a nourishing-strengthening treatment with NANOIL that improves damaged cells regeneration, nourishes them, and seals scales. You gain fast-growing strands without the problem of hair loss.